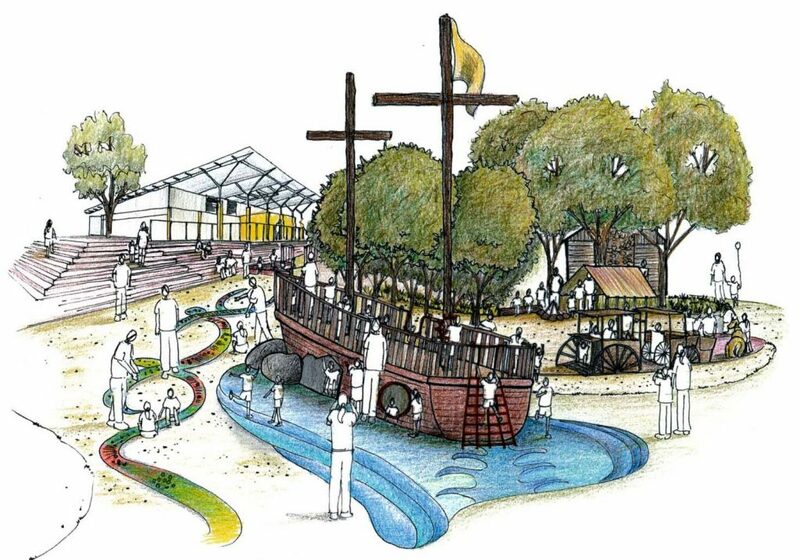 Jeavons Landscape Architects were commissioned by The Sovereign Hill Museums Association to design an accessible play space as part of the evolution to provide visitors a different experience. 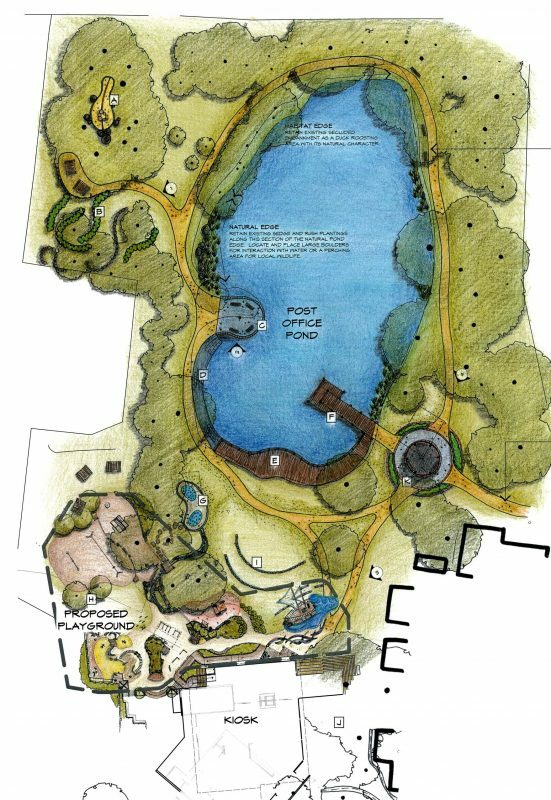 A play space with a prospecting theme will provide a play and interpretative experience for children of all ages and abilities. 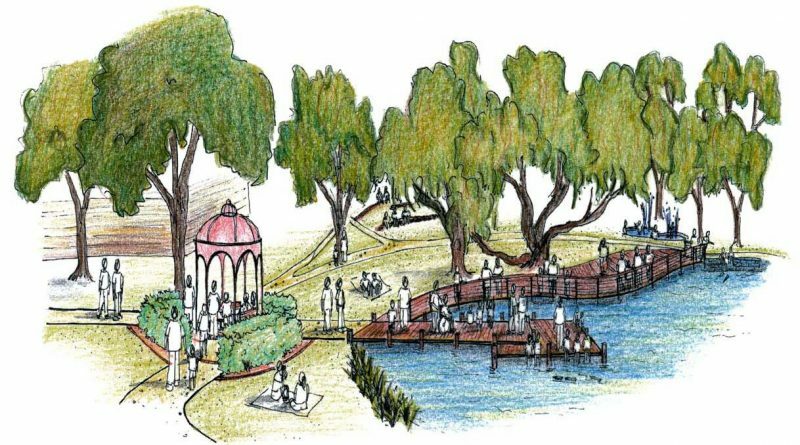 The overall design intent is to create a play space that told the story of the prospector’s journey, starting from the boats and loading docks, to the rough life in a prospector’s tent and ending at the built settlements. A mine tunnel, poppet head and functional water sluice system provides hands on experience for users in a play environment. An amphitheatre and learning space provide interpretation and demonstration opportunities for staff to entertain large school groups. Seamless access has been designed to all play elements.